From a rising star to a meeting with one of Sancerre’s and the Loire’s most influential personalities – Jean-Marie Bourgeois. 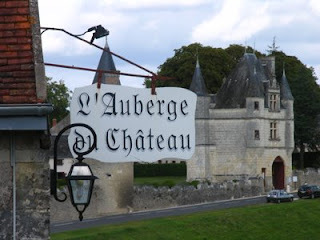 Doubtless Sancerre’s current fame owes something to it being easy to pronounce in English. But it was people like Jean-Marie, Alphonse Mellot and the Vacherons that continued the pioneering work of their parents – Henri Bourgeois, Alphonse Mellot and Jean Vacheron – who established the fame of Sancerre and brought it to the attention of English speakers. Their parents established the name in Paris, while it was Jean-Marie and his generation who took Sancerre around the world. In 50 years the life of this small corner of the Berry in central France – with Bourges 45 kilometres south-west of Sancerre claiming to be the centre of France – has been transformed completely. At the excellent Maisons des Sancerre (www.maison-des-sancerre.com) a number of vignerons reminisce about these early expeditions to sell Sancerre in Paris. I well remember the time I first met Jean-Marie. It was towards the end of October 1989, that famously wonderful vintage – both summer and autumn. On my way to Chavignol with friends we drove up through Bué – the autumn colours on the steep hillsides were breathtakingly beautiful. The Bourgeois were in the middle of their vendange tardive. Despite this not being the ideal time to receive a newly hatched journalist, we spent a memorable two hours or more with him. Jean-Marie says he is now in semi-retirement but he is still traveling the world, including New Zealand to check up on Clos Henri, the Bourgeois outpost in Marlborough. We started with a quick visit to the Bourgeois winery that is steadily making its way up the steep road out of Chavignol. Back in 1989 most of the Bourgeois operation – winery and offices – was crammed into one building. In 2000 work started on the new gravity winery, just above the old one. It is impressively hi-tech and functional – more functional than trying to buy wine bottles these days. "At the moment we have to order 6 to 8 months in advance,” Jean-Marie explained. 40% of the harvest is by hand, 60% by machine with all of the Pinot Noir picked by hand. They are now equipped for screwcap bottles. For a company that now has 70 ha of vines plus contracts with other growers in various appellations such as Pouilly-Fumé and Quincy covering another 70 ha and a total annual production of around two million bottles I’m always impressed by the consistent quality of the Bourgeois wines throughout the whole range, from Le Petit Bourgeois Sauvignon vin de pays upwards. Back in 1950 the family had 2.5 ha of vines along with goats, rabbits and vegetables. The area of vines had grown to 3.5-4 ha in 1956 when Jean-Marie (J-M) started working full-time. The previous year (1955) they filled 15,000 bottles. “An enormous quantity for those days,” J-M explained. “In 1957/58 we started making deliveries en vrac (in bulk) in a Peugeot van to Paris. In 1965 my brother built the first cuve (vat). We tasted various wines including their Clos Henri from Marlborough, New Zealand, starting with Le Petit Bourgeois – the first of their French wines to go into screwcaps. I picked out the racy, minerally 2007 MD, the rich and weighty Jadis 2006 from a parcel of old Sauvignon Gris vines on the Mont Damnés, which is vinified in barriques of 3 to 5 wines and bottled unfiltered. We also tasted the 2000 MD again – this time a little fatter than the one we had drunk the previous evening in Touraine. However, the powerful and concentrated Sancerre d’Antan 2006 from silex vineyards in Fontenay (just to the west of Saint-Satur) and in Saint-Satur itself from vines planted between 1935 and 1939 was my stand-out white. "The silex of Fontenay is purer and harder than that in Saint-Satur, which has more clay," explained J-M. "My father was born in Fontenay and also had vines in Saint-Satur." I have never felt that the reds from Bourgeois are at the same level as the whites but I think that recent vintages are showing increasing promise. The rich and spicy 2005 La Bourgeoise (old vines on silex) needs more time but shows considerable potential. I also liked the soft and supple Clos Henri 2006 with attractive black cherry fruit. I wonder if making two vintages of Pinot Noir a year is paying off. It will also be interesting to see what comes from their recent Pinot Noir plantings on the Monts Damnés once they are established. We finished with the late harvest 1997 Vendange Saint-Charles, which has to be labelled vin de table. Picked on 4 November it has rich, honey and apricot flavours. Saint-Charles has been made in 1989, 1990, 1992, 1995, 1997 and 2005. Despite the frequent mists around Chavignol these late-harvest wines are from grapes dried by the sun on the vine (passerillage) rather than botrytis. Depending on the vineyard site there are a few botyrtis late-harvest wines made in Sancerre by other producers. Tasting over, Jean-Marie joined Sarah and I for a glass of Champagne in his son’s new hotel in Chavignol – the subject of the next post. Our next appointment was mid-afternoon with Claude and Stéphane Riffault (Domaine Claude Riffault) in Sury-en-Vaux. This gave us plenty of time to book into our bed and breakfast rooms in Sancerre – Les Logis du Grillon (http://nadcharp.club.fr/sancerre.biz/index.htm). 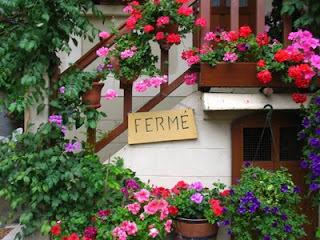 Les Logis is a charming house in a narrow street in Sancerre’s old quarter. Run by Nadia and Pascal Charpentier, the rooms are comfortable with a breakfast area and an attractive secluded garden with tables and chairs. Nadia is from a family of hoteliers in the Auvergne and is knowledgeable and enthusiastic about Sancerre and its surrounding area. She also speaks English. Although they don’t take cards, this is certainly a chambre d’hôte to recommend. We chatted with Claude Riffault, who now takes a back seat, while waiting for his son, Stéphane, to arrive. The estate has 13.5 hectares of vines – 10 of Sauvignon Blanc and 3.5 ha of Pinot Noir. 60% of their production is exported with Richards Walford as their UK agent. We asked Stéphane about the history of red varieties in Sancerre and why Sauvignon came to dominate after the devastation of phylloxera, which arrived here around 1880. “Before phylloxera ¾ of the vineyard was planted with red varieties – mainly Gamay with a little Pinot Noir as well as Pineau d’Aunis,” explains Stéphane. Much of Sancerre was planted during the 1920s and 1930s after the First World War. At that time it was polyculture everyone would have a few goats, grow various crops and have some vines. You didn’t live from vines alone.” Such was the dominance of Sauvignon Blanc here during the 1930s that when the first French appellations were drawn up in 1936 it was only for whites. It wasn’t until 1959 that reds and rosé Sancerre from Pinot Noir were made an AC. The Riffault harrow the soils in their vineyards as well as having a band of grass. The amount of grass that is allowed to grow depends on the paucity of the soils and the amount of competition that the grass provides for the vine. Stéphane is not a fan of green harvests preferring to get the vines in balance before then. 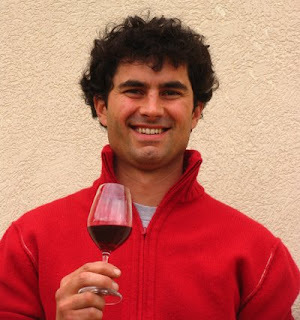 It seems likely that Stéphane will take the vineyards organic or perhaps biodynamic. An increasing amount of their harvest is now being picked by hand – it will be around 80% for the 2008 vendange. First up a trio of 2007s. We started with the soft, grapefruity Les Boucauds (terres blanches). Next the very minerally, brilliantly focused and long-lasting Les Pierrottes (silex), which for me was a real stand-out wine. Then quite rich Les Chasseignes (caillottes) with grassy and grapefuit flavours but not as long or focused as Les Pierrottes. We also tried the promising 2007 Antique (terres blanches) with 30% vinified and aged in wood for 12 months. The Antique 2006 was rich and fat with pineapple and grapefruit notes but lacked zip. I preferred the minerality and fresher 2007s. Stéphane prefers his Sancerre to be young. “Not interesting to keep,” he said. We had a quick look at La Noué rosé 2007. Stéphane observed that: “Although there is a big increase in demand for rosé in the UK, we are not seeing much of an increase in France.” I liked the black fruited and silky La Noue 2006 Sancerre Rouge with its attractive Pinot Noir character and delicate wood-notes. I was less keen on the more concentrated Antique 2006 with more noticeable wood and s light dry finish – extraction pushed a little too far. Doubtless Antique needs several more years in bottle but may show some of the danger of pushing Sancerre’s red revolution too far and too be fair Antique 2006 is not due to be bottled until November 2008. Certainly neither wine would have been made 15 years ago when few producers took their reds seriously preferring high yields and light wines. For the reds the Riffaults are moving to small conical, cement fermenting vats – interesting how previously reviled concrete is making a comeback, while stainless steel tanks are losing some of their gloss. During our three days in Sancerre several people opined that they saw Stéphane Riffault is an emerging star, so clearly someone to keep an eye on. of François but he prefers not to have his photo taken. A fairly early start from Touraine saw Sarah and I arrive in Chavignol around 11.30am. The weather was far from summery – showers and well less than 20˚C. Our first appointment was with François Cotat. This had been arranged through Richards Walford, Cotat’s UK agents. François had forgotten but fortunately was busy working in his cave, so we were able to taste with him. François Cotat’s father, Paul, and his brother, Francis, used to work together. However, in 1998 their respective vineyards were separated out. Now François looks after the four hectares that belonged to his father, while his cousin Pascal Cotat, now based in Sancerre, has 2.5 hectares. François has vines on La Grande Côte, the Cul de Beaujeu and the Mont Damnés on very steep clay-limestone slopes around Chavignol. 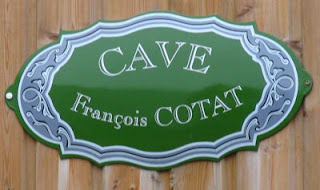 He also has a parcel of young vines on the caillottes between Chavignol and Sancerre on lower, more gently sloping land. The caillottes is pure limestone with little or no soil. François made his first vintage from these vines in 2005. There are 8000 vines per hectare – higher than the more normal average of 6500 vines per hectare – with an average yield of 60 hl/ha. François uses the natural yeasts, no debourbage (must settling), no sulphur during fermentation and only one battonage (lees stirring) after the fermentation has finished. We started with the quite austere, nettley and mineral 2007 Jeunes Vignes. Then onto the richer, more concentrated 2007 Mont Damnés with gooseberry notes from 25-year-old vines. Next was the rich and Cul Beaujeu 2007. The soil in Cul de Beaujeu has more clay than the more limestone soils of Les Monts Damnés. This leads us into the stand-out 2007 – La Grande Côte. Powerful and citric with a lot of concentration, this needs plenty of time to show its best. Indeed the Cotat wines all benefit from time in bottle and generally age magnificently. “The wines need time to express themselves,” says François. Sarah asks François what type of clones he uses. “I’ve no idea,” he replies. We taste some older vintages. The rich 2000 Monts Damnés with floral and peach flavours and mineral length in the finish. Followed by a very fine 1995 Cul de Beaujeu again rich but this time with grapefruit and pineapple to the fore. The 1989 Grand Côte had notes of white truffle and liquorice. 15% in this very hot year. We finished with 1995 demi-sec – type of late harvest style harvested on the 20th October. Although it has good balance and finesse I prefer the dry styles. “Before 1936 a lot of the wines made in Chavignol were demi-sec,” explained François, “because of the difficulty of fermenting very ripe juice to dry. Nowadays cultured yeasts are used in 90%-95% of Sancerre wines. From time to time the Cotats have had problems with the French wine authorities. The name Chavignol on their labels used to be printed substantially bigger than that of the appellation Sancerre. In 1998 and 2002 their wines didn’t get the appellation because too much residual sugar remained in the finished wines. They had to be sold as vin de table. Unsurprisingly this made no difference to sales – people buying Cotat are buying Cotat irrespective of the appellation. That the 1998 Cotats took the first three places in a Wine Spectator tasting doubtless helped as well. However, the story of these wines refused the appellation may well not be clear-cut. When I saw Denis Vacheron, who is president of the Union Viticole Sancerroise, on Wednesday (13th) he explained that there had been a declaration of chaptalisation. 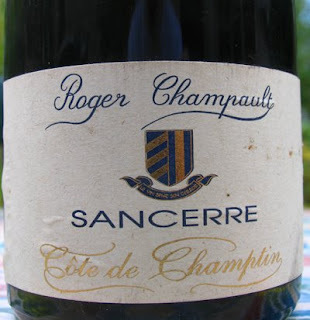 Sancerres that have chaptalised must be fermented to dry and cannot have residual sugar if they are to obtain the appellation. Needs further investigation. Sarah Ahmed, the wine detective (www.thewinedetective.co.uk) and fellow writer, arrived from London to spend a week visiting producers together. Monday to Wednesday will be spent in Sancerre and Pouilly. Thursday it’s off to Bourgueil, Saint-Nicolas-de-Bourgueil and Chinon. Friday is the 15th August – a national holiday, so no visits. We will finish with a day in Montlouis on Saturday. To get ourselves tuned up for the Central Vineyards we looked at a number of aged Sauvignon Blancs, mainly Sancerres, over dinner. 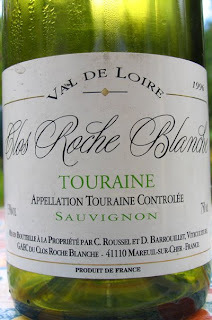 First up was a 1996 Touraine Sauvignon from Clos Roche Blanche, which is run by Catherine Roussel and Didier Barrouillet. Although the 1996 had some evolved Sauvignon characters, it still had an attractive fresh minerality – difficult to guess that it was 12 years old. 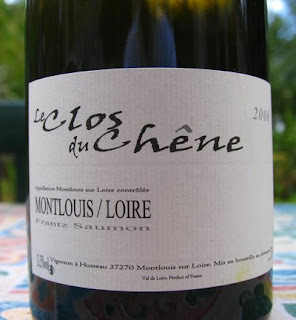 Farmed organically and previously biodynamically Clos Roche Blanche between the villages of Mareuil and Pouillé in the Cher Valley has long been a beacon of excellence and Catherine and Didier have inspired a number of other local producers like Jérôme Sauvète, Jean-François Merieau and Vincent Ricard. A rich 1995 Côte de Champtin Sancerre from Roger Champault et fils was next up. The Champaults are based the small village of Champtin, which is just west of Bué. The Côte de Champtin is a steep, south-facing slope above the village. Roger Champault has now retired and the family vineyards are now run by his two sons Claude and Laurent. 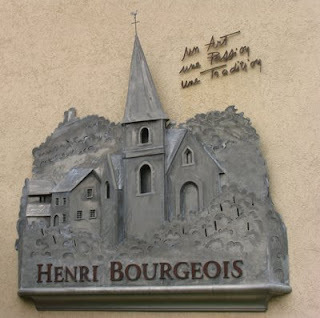 Two contrasting vintages – 2000 and 1997 – of the MD of Henri Bourgeois from the steep slopes of the Monts Damnés that overlook the village of Chavignol. The 2000 was quite austere and mineral, while the 1997 from a hotter year was rounder and softer. Both accompanied our cold salmon trout with perhaps the 2000 as the better match. We finished with the grape that dominated Sancerre’s vineyards before the arrival of phylloxera towards the end of the 19th century – Pinot Noir trying a bottle of Alphonse Mellot’s Generation XIX 2004 Sancerre Rouge. The concentrated but still slightly angular 2004 still needs time but to me shows how red Sancerres have progressed over the past ten to fifteen years. Sarah is less convinced citing the oak. Dinner at the Auberge du Château du Montpoupon (02.47.94.25.53). Montpoupon is a hunting property on the road from Monbtrichard to Loches. Parts of the present château date from the Middle Ages but the spot has been inhabited since the time of Charlemagne. The Auberge has been through a number of hands. The last proprietor was Belgian with a Russian wife. It changed hands earlier on this year and reopened at the beginning of July. The present owners used to run a restaurant in Arcachon and the wife comes from nearby Epeigné-les-Bois and Luzillé. There are menus at €19 and €26 with a lunchtime one (three courses for €15). The restaurant is closed on Monday. We had an enjoyable meal (the gambas in garlic sauce being the stand-out dish), although the €26 menu is quite pricey for what you get and it is not difficult to get better value elsewhere. We tried several wines from the 25 ha Le Clos Roussely in Saint-Georges-sur-Cher. We started with the easy drinking Temps Danse 2007, a Pineau d’Aunis Rosé, before moving onto Canaille 2007, a well-made 100% Gamay and not dilute as Touraine Gamay can be, and finished with the 2006 Anthologie du Clos. This is a fairly full-bodied, ripe blend of Cabernet Franc and Côt, which can be drunk now but will improve over the next three to five years. 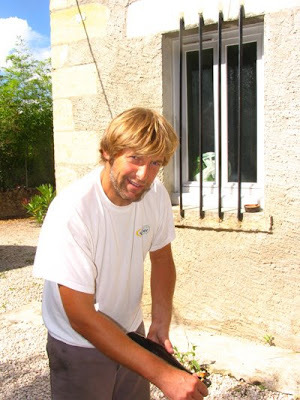 Le Clos is now run by Vincent Roussely, who took over in 2000 after working in a number of places including Australia, California and South Africa. Postscript: A return visit on 30th August 2008 was less successful. The main course of confit de canard had an unnecessary sauce, a mound of roasted vegetables shoveled onto the plate and a curious potato mould. It did, however, confirm the pleasing quality of the 2006 Anthologie du Clos. Although the young staff were attentive, the owner couldn’t be bothered to come over to say hello – easily and quickly done as there were only ten people in the restaurant on this Saturday night. Doubt if we will be rushing back. A visit to Frantz Saumon in Husseau, Montlouis (10 r Rocheroux 37270 Montlouis sur Loire, Tel: 02 47 35 83 65, email: f.saumon@tele2.com). Like so many of the interesting producers in Montlouis, Frantz is a newcomer to the appellation. Many Loire wine estates are handed down through the generations, so Montlouis is unusual as there are a substantial number of producers here who don’t have family vines handed down to them and some have changed careers to become winemakers. 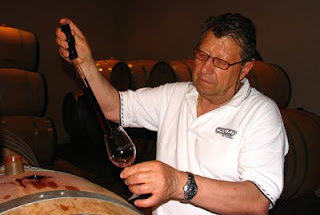 Jacky Blot of Domaine de la Taille aux Loups is the leading example of an outsider to Montlouis, although he was a négociant in Tours before he bought the domaine in 1989. Jacky and his wife, Joëlle, have become Montlouis' leading producer with vines in Vouvray as well and, since 2002, the 14-hectare Domaine de la Butte in Bourgueil making exemplary reds. 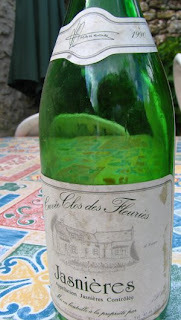 Having spent Friday afternoon (1st) and Saturday afternoon (2nd) in the valley of Le Loir visiting three Jasnières producers*, I opened the 1990 Cuvée Clos des Fleuries François Fresneau Jasnières – rich, honeyed, mineral and still very fresh probably would have gone on for another 50 years or so if I hadn’t pulled the cork. The cork was quite short, so this might well have in time limited its life expectancy. It was an excellent aperitif. I must have bought this in 1991 or 1992 when I visited Fresneau in Marçon a village just to the west of La Chartre-sur-Loir, has 14 hectares in the Coteaux du Loir and Jasnières. The family has been making wine here for four generations. I should go back to see them. * Joël Gigou, Les Maisons Rouges and Le Briseau. Profiles on the full site when launched. 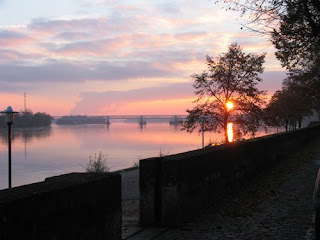 I decide it is finally time to put together a website concentrating on Loire wines. Initially this will be through these notes, while I put together a more ambitious site aiming in time to cover all of the Loire wine regions and a number of its producers. I don’t, however, have the time or the ambition to cover them all. My interest in the Loire and its wines was kindled by visit and tasting with Gaston Huet in late August 1979. Carole, my partner, and I had spent five weeks driving around France and Italy covering some 6500 miles in a Renault 5. We were on our way back home to London but wanted to visit Vouvray to taste its sweet wines. We both taught in a comprehensive school in Southwark, then part of the Inner London Education Authority. I had no inkling that nine years later I would change my life and start writing about wine. Clutching the then current edition of Hugh Johnson’s The World Atlas of Wine, which recommended the wines of Gaston Huet, we searched the by-ways of Vouvray looking for Le Haut Lieu. In those days there was no sign only the name carved in the limestone gateway. We wandered into the courtyard of Le Haut Lieu, an attractive manor house. It hadn’t occurred to us that we might need to make an appointment but we were in luck as Gaston Huet was around and had time to give us a tasting. We sat with Gaston in a comfortable room in the Haut-Lieu sipping a 1966 moelleux from the special Vouvray glasses with a small dish of walnuts and attempted to converse in our then very limited French. Even though this was the very late 1970s the price list still had 1966, 1964 and, I think, 1961 moelleux on it. He was charming and we must have spent half and hour or more with him. We selected five bottles of moelleux from 1964 and 1961 – we didn’t have much space in the motor, having already bought some wine in Bordeaux and the Rhône, and at that time you could only bring back into the UK a small amount of wine before paying duty and vat on it. It wasn’t until we got back to London that we discovered that Gaston Huet had given us an additional bottle. 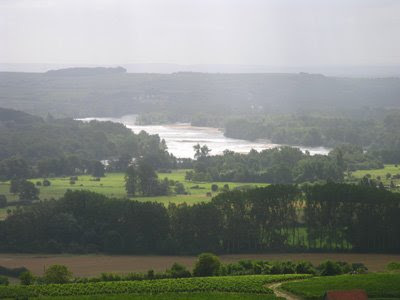 My interest in the Loire continued to grow and in 1987, with a group of friends, we bought a house in a small village in eastern Touraine in the Cher Valley. The next year in August I left teaching following the abolition of the Inner London Education Authority. The abolition meant that the special project I had been working on ceased and I had to choose whether I would return to classroom teaching or do something different. As I had a friend, who had become publisher of the now long deceased Taste magazine, I decided that I would start writing about wine, with the thought that I could always return to teaching if things didn’t work out. In late 1988 had a chance meeting with David Rowe, who had recently been appointed editor of Decanter, at a smart dinner organised by the Sherry Institute at Mosimann’s. We chatted about what I was doing. At this stage, although I had written several articles for Taste, none of my pieces actually appeared because of the long lead-in times, so some minor embroidering was necessary – glossing over this. To my surprise and delight David asked me whether I would write for Decanter. The first Decanter piece I wrote was a follow on from this dinner at Mosimann’s – suggesting Sherries to go with recipes provided by food writer Jill Cox. Soon after David Rowe commissioned me to write a piece on Muscadet, which in those days was still fashionable with vast UK sales, and in February 1989 Carole and I spent four days in the Pays Nantais visiting producers, including Jean-Ernest Sauvion of Château du Cléray, Louis Métaireau, Chereau-Carré at Château de Chasseloir, the Marquis Robert de Goulaine at Château de Goulaine, Jacques Guindon (Muscadet Coteaux du Loire and Coteaux d’Ancenis and a meeting with Jean-Luc Blanchard, long-time export director of Donatien Bahuaud. It was an intensive but fascinating visit and a steep learning curve for me for I knew little about how wine was made and my French was extremely limited. Among the many things I learnt was that well-made Muscadet, contrary to popular belief, could age well. Looking back after nearly twenty years after my first visit to Muscadet much has changed. Following the severe frost of April 1991 Muscadet has has been through severe problems and, with the upsurge of wines from outside Europe, has ceased to be fashionable. The quality of Muscadet, however, is better than it was. Back in 1988 the négociants were strong in the Pays Nantais and all were locally owned. Since then a number of businesses have changed hands with control moving to pan-France companies like Castel Frères, who bought Sautejeau-Beauquin in 2007, Grands Chais de France who bought Vinival in July 2004 and Gabriel Meffre, who bought Donatien Bahuaud in 2005. More recently Maison Sauvion and Château du Cléray were sold by the Sauvion family to Grands Chais de France in November 2007. Grands Chais has subsequently bought Château de Fesles in Bonnezeaux from Bernard Germain. 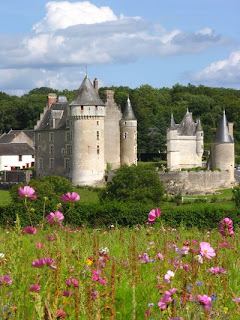 On a few occasions over the years the chance of writing a book on Loire wines has appeared to be coming off. The most serious prospect was a series to be published by the University of California and to be edited by Clive Coates MW. Unfortunately it never got off the ground. Given the current unadventurous state of UK wine publishing – a reliance on a blend of the tried and tested with punts on celebrity wine books – the chances of getting a reasonably detailed book on the Loire published in the UK is probably less than zero. Making any money out of a book would be even more unlikely – sub-zero – nine below even! Instead I have decided to set up Jim’s Loire as an amuse-bouche before launching a more comprehensive site that will then incorporate this blog. The net has the great advantage of allowing me to amend and add – it is always work in progress whereas with a book time and content are frozen by publication. 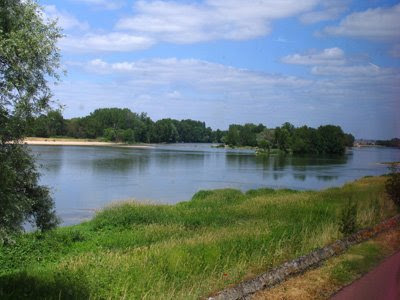 I will be focusing more sharply on the Loire and spending less time trying to cover the rest of the wine world.